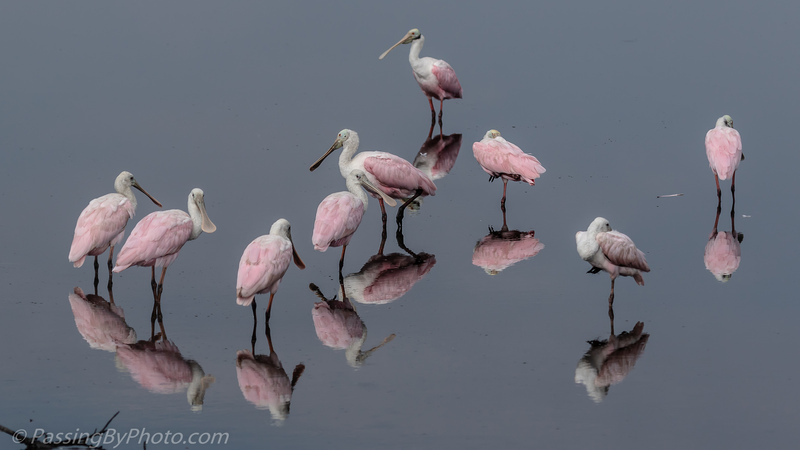 I’ve read that “bowl” is the classic term for a group of spoonbills, although I’ve not been able to find out why or how many spoonbills it takes to make the definition. A search quickly turns to pottery. This bowl was resting after morning feeding creating some lovely reflections on a very still pond. It was a few minutes of just glorious light and that still water was perfect. Such a crystal clear shot, beautiful! Thanks, Belinda! The spoonies are a real treat.